I never before considered myself a pie devotee - usually more of cake man - but Hoosier Mama changed my opinion. I think I just hadn't had the right pie before. All of the ones I've tried (both sweet and savory) hit a perfect balance between buttery, flaky crust and delicious filling. The quality of the raw ingredients shows through - there's clearly no cutting corners. The Chicago Ave location, though not where I usually get my pie fix (GCM or a coffee shop near my old apt), is worth noting as well. The narrow storefront is the perfect spot to grab a cup of coffee, and sit in at the table tucked up by the window and enjoy the simple pleasure of pie. Sitting there I've watched folks of all sorts from the neighborhood stop in, survey the options, and giddily order their afternoon treat of pie. Whether at the Chicago Ave shop or at Green City, the employees are always warm and friendly, and seem deeply involved and passionate about the business ("I'm glad you like it, I made *that* pie this morning" said the young woman at Green City selling me my pie). 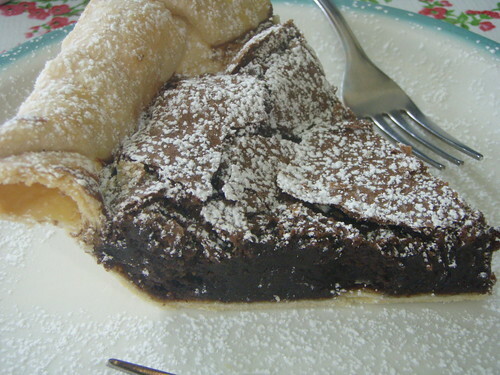 It is with pleasure - and a distinct hankering for Chocolate Chess Pie - that I nominate Hoosier Mama as a GNR. 1618 1/2 W. Chicago Ave.
A great nomination -- and one I would have made myself -- had you not saved me the trouble. I think HMPC epitomizes the GNRs for a couple of reasons. First, it's clearly loved around here. There is a near-consensus of positive opinion about it. It's also one of those rare, specialized places that basically showcases a single food (as far as I'm concerned, there just aren't enough of these places in our fast-paced, convenience-oriented world). And even though pie isn't the only thing they sell, what drives HMPC is at the very core of what people who love food -- LTHers -- love most about it: passionate, artisanal obsession. Their products are, in a word, phenomenal. 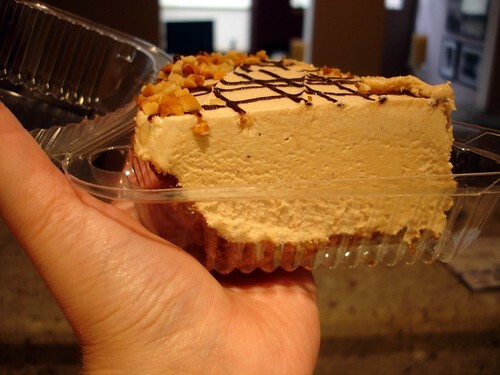 Hoosier Mama Pie Company is a destination and it's worth a dedicated trip. It's a distinctive place which I eagerly and happily recommend to friends and visitors. In a city where some of the most iconic and beloved confections are incredibly over-rated, HMPC is a place where indulgence is entirely -- and possibly even beyond -- worth it. When I'm eating their pies, I feel like I'm eating the very best. This past 4th of July, a friend in Deerfield served pies from Hoosier Mama Pie Company at his annual BBQ. They'd been brought by other suburbanites, who'd made the trip down to the shop just to bring pies back for this gathering. Each of the 3 pies -- Strawberry-Rhubarb, Apple-Cranberry and Coconut Cream -- was stellar, and I don't even like coconut cream. Point is, it was great to see Ms. Haney's wares that far north and know that word about them is clearly getting out . . . and what a treat to try 3 of her pies that I'd never tried before! Pie makes me happy and HMPC's pies make me happier than any other pies I've ever eaten. I fully endorse this nomination and speaking personally, I'm delighted to see it made. I remember late last winter learning that the Hoosier Mama Pie Company was opening a mere two blocks from my house. A pie shop two blocks from home! I hadn't actually tried any of their pie, but from what I had heard, their reputation was clearly stellar long before the retail space. I was excited to have any new dessert shop open near me, but I had a feeling even then that this would be more than just a place to go for something sweet. I eagerly awaited opening day--easy to remember as it was pie (3/14) day. My plans were to go when the doors opened, but other errands got in the way, and I found myself making it over there only in the late afternoon. Alas, they were all out of pie. Paula Haney and her team were still very busy in the kitchen though, I remember, "just trying to catch up" for the following week. They were giving out free cups of coffee in apology, and people from the neighborhood were just coming in to sit and be there (or perhaps in hopes that one final pie might miraculously appear from the oven for them). I knew on that first visit, even though I still had not yet tasted their pie, that this place would be a GNR, in my book at the very least. Fast forward 6 months, and I've now tried at least twice every variety of pie Hoosier Mama has offered since the shop opened. Yes, that's a lot of pie. I've had decent to very good pie in my lifetime. Heck, I credit the apple pie from Soutine Bakery on the Upper West Side of NYC for helping me get through my first year of graduate school. Haney and her team, however, are baking in their own league. In every instance, I think it's their crust and the ratio of crust to filling--in both the sweet and savory pies--that puts these creations over the top. 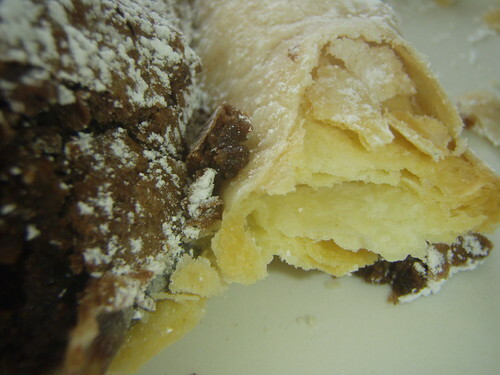 My favorites include the chocolate cream with bananas, the strawberry-rhubarb, the lemon chess (far better, I think, than the version made down the street at West Town Tavern), the pork-sage and, when I'm in the right mood, their version of sugar cream. Not that I couldn't or haven't eaten a whole pie by myself, but the small pies are a nice option for bringing home a selection of whatever is on offer on a given day. I've brought Hoosier Mama pies to dinner at the homes of friends, to my family, to my office--I have yet to encounter anyone, pie person or not, who isn't deeply impressed. Given my proximity to the shop (and the frequency of my visits), what I think I can contribute to the nomination is a sense of how the shop has truly become a gathering place in my neighborhood. The diversity of people I see in there is really impressive. On weekday mornings, I've seen young professionals, in their work attire, having scones or pie and coffee for breakfast. I'll see older couples in the early afternoon sitting and enjoying pie and each other's company. And I've seen pie bring strangers together at shared tables in the cozy space. I love that I can claim Hoosier Mama as part of my neighborhood. That said, one of my favorite times to visit the shop is on Fridays when Haney and her team are preparing for Green City Market. The number and variety of pies and scones they turn out is dizzying and glorious, and it makes me deeply happy and proud that their reach as pastry makers and a business is as far and rich as it is. My only hope is that they don't too soon outgrow their space and leave the neighborhood because I would be lost (if not a little slimmer) without my weekly pie. Hoosier Mama as a resource is worthy of a GNR, but, for me, the shop is the gem and why I gushily endorse this nomination. I'm more than a little in love with Hoosier Mama as well. First bite of their pie at Green City I was hooked, even more so after visiting their friendly cozy shop. Count me a Hoosier Mama fan, great nomination. This doesn't meet the two-year test, though, does it? Katie wrote: This doesn't meet the two-year test, though, does it? Speaking personally, I'd like to point out that the 2-year test is merely one person's personal guideline (as posted on another thread). It has absolutely nothing to do with the current reality of how prospective GNRs are chosen. But that said, in this case, Hoosier Mama's pies have been around a lot longer than the actual shop has. They've been in the LTH concsciousness -- and considered favorites -- for a fairly long time. So, even if you subscribe to the 2-year test, it really doesn't apply here, especially since the opening of the shop hasn't eroded the quality of the pies one bit. For whatever it matters, Hoosier Mama was selling pies at farmer markets for several years before opening a brick-and-mortar location. I believe Katie is referring to this post by BR in the 'Establishing a Track Record' thread. When I posted my proposed 2-year test, I thought about Hoosier Mama's pies, searched the board, and noticed that people have been posting about it since 2006, so while their current location has not even been open a year, they have been in business for a few years and in my opinion have been around long enough to develop a track record. But again, my opinion and my proposed test, nothing more (although it's a damn good idea I must say). I realize the two-year test is not a rule, just someone's suggestion (BR's, as it turns out; I'd forgotten who). Just saying I think it's a good one, as I've remarked just now at greater length in the Track Record thread. I think Paula's active effort to research, preserve and propagate old school Midwestern pie baking traditions, makes HM Pies precisely the type of business that deserves LTH support. They make some pretty darn good pies too. Not a helluva lot I can add here because it's all been well stated above. My favorite to date is the blueberry pie which just tastes so damn fresh that I find myself shaking my head after every bite. I have to say I wasn't thrilled with her version of apple pie, mostly because I thought the five spice was a bit overpowering, but you can still count me as a supporter of this nomination. This place doesn't need my help. It doesn't need a pie-shaped Bat Signal trained on the sky. All it needs to do to is to create these superb pies and with one bite, strangers become evangelists. I finally tried them. Now I get it. GNR = yes. I dissent. I tried their pies earlier this year, and I was not impressed. Too much crust in relation to the amount of filling, bland tasting filling, and WAY too expensive for the size. I do not support this nomination. Does this look like "too much crust in relation to the amount of filling"? *P.S. That slice of pie, which I could not finish 1st go-round cost me a mere $4. aschie30 wrote: Does this look like "too much crust in relation to the amount of filling"? The pie I was referring to was small (6-inch) traditional two-crust strawberry-rhubarb pie, bought for the high price of $9 at Green City Market. Small pie. Big bucks. Mostly crust. I didn't take a photo of it because it wasn't something I wanted to remember. I do not support this nomination. This wasn't my experience with the four* slices I tried last Friday. The cherry streusal was cherry turned up to 11. The peach was peachy squared. Strawberry rhubarb was wonderfully tart and had great berry flavor that took me back to June strawberry season. The apple was also quite flavorful, though I tend to like a lot of cinnamon in my apple pie, so maybe this was my least favorite. But nothing I had came close to bland. I did take a picture, but I wanted to point out that you might find the pies aren't photo-worthy if you aren't a pie makin' junkie like I am: Hoosier Mama is interested in making pie that's pie, not in the dome-shaped overstuffed, overstarched gloppy messes that often pass for pie in Chicago. The tops of the fruit pies had all risen when the fruit cooked, and fallen when it cooled - and that's the way a fruit pie should be. These are country-style pies - you know, from that housewife everyone secretly envies who "has a knack for pastry." After we have dinner and eat at least one of the two pies we felt had to go home with us, I'll post back with specifics and photos. Pie good. Good pie. Hoosier Mama. There have now been complaints in both this thread and the main Hoosier Mama thread about the price of the pies. Come on folks - we're not talking about Bakers Square or Jewel here. Hoosier Mama uses really top notch ingredients. As an example, the vinegar chess pie (which was phenomenal by the way) which I purchased at the Green City Market featured specks of vanilla bean, and not some cheap vanilla extract. Sure you can purchase pies which are less expensive, but that's because they are made with lesser ingredients. Mhays wrote: The tops of the fruit pies had all risen when the fruit cooked, and fallen when it cooled - and that's the way a fruit pie should be. I will slightly disagree with this statement of collapsed fruit with a dome of crust hovering over it as a norm. This is entirely preventable when making apple pies by choosing your apple varieties wisely. MacIntosh is great for apple sauce, but collapses into a mush for a pie. Jonathon's are terrific pie apples that keep their form after cooking. Cook's Illustrated suggested making an apple pie with a variety of apples with MacIntosh mixed in. Forever when people would inquire where to get a good piece of pie, there was really no place to point them. A pleasant feature of Hoosier Mama, there is finally an excellent resource for really good pie. While we have good pie bakers on this board, you could hardly send them over to someone's home. Hoosier Mama has great pie as well as a homey atmosphere to send them to. · Paula Haney, Hoosier Mama Pie Company, "From Abundance to Desperation – Pies of Indiana"
· Peter Engler, Culinary Historian, "Bean Pie: An Iconic African-American-Islamic dessert"
· Catherine Lambrecht, "Reclaiming the Pecan's Roots"
Cathy2 wrote: I will slightly disagree with this statement of collapsed fruit with a dome of crust hovering over it as a norm. This is entirely preventable when making apple pies by choosing your apple varieties wisely. MacIntosh is great for apple sauce, but collapses into a mush for a pie. Jonathon's are terrific pie apples that keep their form after cooking. Cook's Illustrated suggested making an apple pie with a variety of apples with MacIntosh mixed in. Hell yes, Cathy. 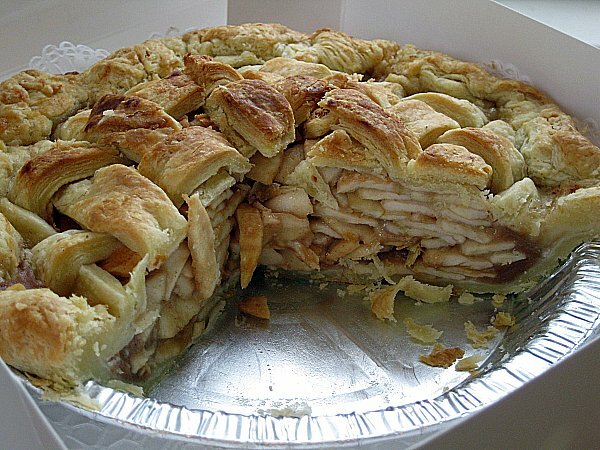 The apple pie below - from Pleasanton Bakery in Traverse City, MI - might have been the best pie I've ever had. No collapsed crust or gloppy, starchy filling here. Kenny, that's a lattice crust, which may account for no domage, but is also an unorthodox (IMHO) choice of a top crust for an apple pie. Tastes and practices vary, and that pie may indeed have been revelatory, but it commits a sin in my box, in their thin slicing of apples. It looks like they used one of those devices that peels and slices at the same time. I prefer a more rustic filling with peeled apples chopped lengthwise into eights or sixteenths. aschie30 wrote: Kenny, that's a lattice crust, which may account for no domage, but is also an unorthodox (IMHO) choice of a top crust for an apple pie. Tastes and practices vary, and that pie may indeed have been revelatory, but it commits a sin in my box, in their thin slicing of apples. It looks like they used one of those devices that peels and slices at the same time. I prefer a more rustic filling with peeled apples chopped lengthwise into eights or sixteenths. Which apples you choose does make a difference, but the preparation of the apples makes a huge difference. That is, even if you use apples ideal for pie baking (e.g., Granny Smith, Pippin, Northern Spy, Golden Delicious), you can get the dome effect if you don't make sure that the filling is densely packed. If you use large, thick slices of apple (no matter what kind of apple), you are more prone to getting the dome effect because there will be some give in any apple and you want to eliminate as much space between the apples as possible so there's less room for the apples to shift. I find the best ways to eliminate the dome effect is either to use thick slices of apple which are then chopped in half (my method) or cutting the apples into sixteenths (like the pie in Kenny's picture). And you have to make sure your filling is condensed. To me, the ideal apple pie is one with the high, bumpy crust which when it comes out of the oven, has the apples piled high to the crust. Now, back to your slam dunk GNR nomination thread. OK, I should point out that there weren't apple pies to be had - I was more discussing peach, cherry, and similarly-juicily-fruited pies that were as described. It's true, apple is an exception, it's just that I mistrust a high-filled cherry or peach pie; that often indicates that the filling was pre-cooked. All three were excellent pies. I appreciated the caveat we'd been given that the lemon meringue was very tart, one absolutely needs to make sure to get both layers in each bite to balance the flavor. All three pies had an excellent tender crust and a nice eggy, but somehow light, custard. My favorite was the lemon chess - clearly a chess pie, nice lemon flavor and the raspberries really set it off and make it a nice summer pie. After stopping by for the first time on Saturday with my wife, I definitely support this nomination 100%. We stopped in hoping to try a savory option or two and quell my wife's rumbling stomach after the Lung Run, and to bring a pie home with us. My wife fell in love with her tomato, basil, and goat cheese quiche at first bite, and my pork-apple-sage supper pie slice proved to be even better than I had expected after reading through all of the praise for Hoosier Mama's pies on this site - a truly impressive feat. Which led to a quick phone call to my parents to see what they would like me to pick up for them, and our departing with one large passionfruit meringue pie, one small peach raspberry pie, two slices of mushroom gruyere quiche for my wife, and a small banana cream pie and a couple slices of key lime for my parents. The mushroom gruyere quiche proved even better than the quiche my wife ate at the store. My mother has been raving about the pie I brought home for them and telling me that my father - who she has been trying to get to go pick-up some pie from there for months now - is ready to go back at the earliest possible opportunity. The passionfruit meringue? Divine. My wife and I both like passionfruit quite a bit, and the passionfruit souffle at Vong's Thai Kitchen has been one of our favorite desserts in the city for a while now. My wife's first reaction to this pie was, "It's just as good as the souffle! And we can bring it home and eat it any time we want!" While it is difficult to compare a pie to a souffle, I will say that there is a similarly strong flavor of the passionfruit to both and that both capture that flavor supremely well in their different ways. 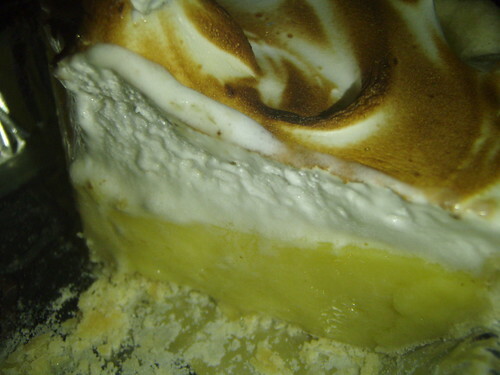 The pie is quite tart, as the lemon meringue is reputed to be, and the meringue does indeed provide a nice balance to that tartness. It is rich enough that I found myself seriously questioning the wisdom of ordering a large pie rather than a small one, even despite our love of passionfruit. Truth be told, even if it does somehow defeat us over time, it will be the most enjoyable defeat in a long, long time for me. 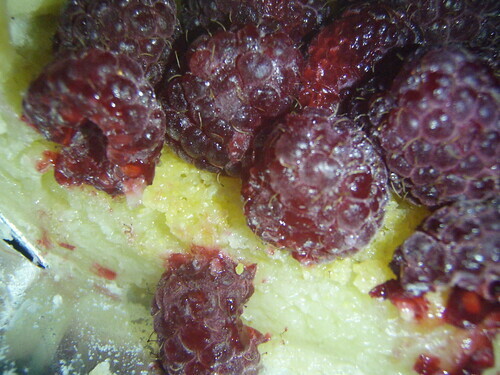 ucjames wrote: The passionfruit meringue? Divine. My wife and I both like passionfruit quite a bit, and the passionfruit souffle at Vong's Thai Kitchen has been one of our favorite desserts in the city for a while now. My wife's first reaction to this pie was, "It's just as good as the souffle! And we can bring it home and eat it any time we want!" While it is difficult to compare a pie to a souffle, I will say that there is a similarly strong flavor of the passionfruit to both and that both capture that flavor supremely well in their different ways. The pie is quite tart, as the lemon meringue is reputed to be, and the meringue does indeed provide a nice balance to that tartness. It is rich enough that I found myself seriously questioning the wisdom of ordering a large pie rather than a small one, even despite our love of passionfruit. Truth be told, even if it does somehow defeat us over time, it will be the most enjoyable defeat in a long, long time for me. Yes, yes, yes! I love that pie. Thank you for singing its praises.